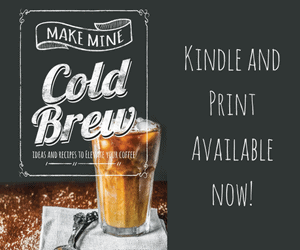 There are about as many ways to make coffee as there are Starbucks in Seattle. Cold brew methods are not as numerous as hot brew methods, but they are catching up. To begin with, let’s clarify some terms. 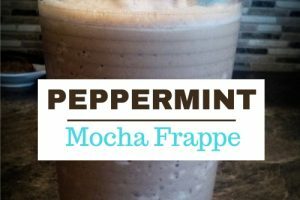 There are 3 closely related methods associated with Japanese style coffee. 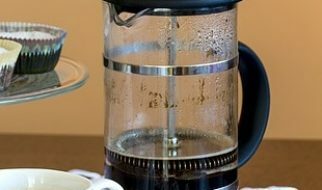 Pour over coffee refers to a hot brew method using a special narrow spout kettle to slowly pour hot water over grounds in a cone filter. 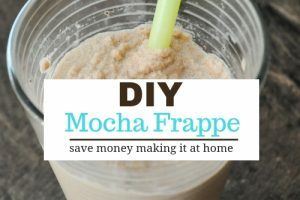 The ice drip method is synonymous with Dutch coffee where cold water slowly drips through coffee grounds. The method we will discuss here is a hybrid method of the first two. I recommend a ceramic cone with a single hole such as the Melitta or a heat proof glass such as the Hario V60. Because we will be pouring hot water through the filter, I do not recommend plastics as some of the flavors can show through in the coffee. Bring water to a boil. Meanwhile, for a single cup place a filter in the cone and set over a mug filled ¾ full of ice. Use whole ice cubes, not crushed. Add 2 (coffee) scoops of coffee to the filter. If you like stronger coffee, you may increase this even further. Once the water has come to a boil, let it cool for a minute and then slowly pour a little bit over the grounds, just enough to saturate them. Continue to slowly add the hot water, about 1-2 Tbsp. at a time. Adding the water slowly is very important as we really want the coffee to drip slowly over the ice. 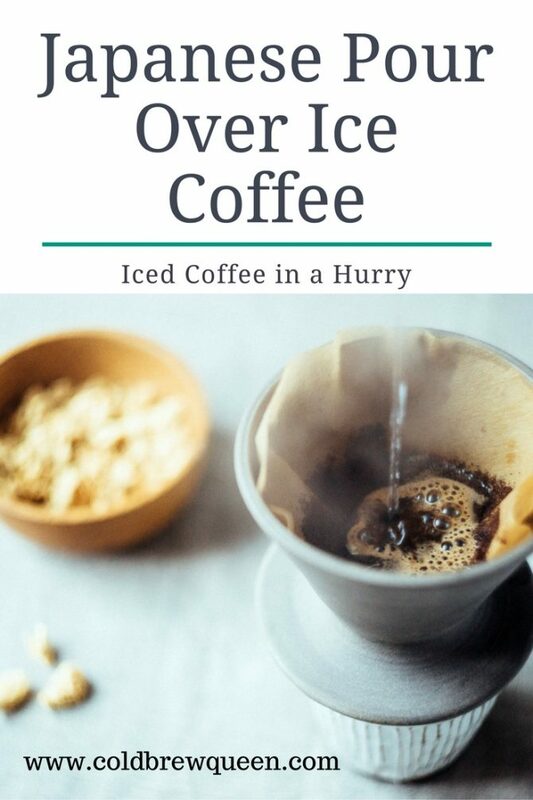 Too much coffee flowing through the cone will melt the ice faster and result in a weak, watery cup. Conversely, when the coffee drips onto the ice a few drops at a time, it does not melt as much of the ice. When you have filled your mug you will have a tepid brew. You could allow the coffee to sit and let the remaining ice cool it. What I like to do though is transfer the coffee to a second ice filled cup. This second cooling makes it ready to drink as iced coffee immediately. Here is my little tip: use the cone filter to strain the first set of ice out of your coffee. I find that this also passes the coffee once more through the grounds. I have no proof, but I find that the resulting coffee is less dilute by doing this extra step. 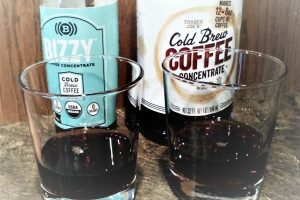 What problems does the pour over ice coffee method solve? Why should you need this method? 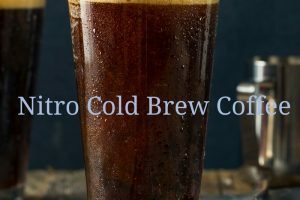 Well, one of the shortcomings of cold brew is that there are certain aromas and flavors that are only released when coffee is in contact with hot water. 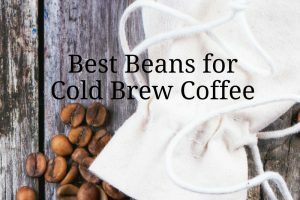 By brewing the coffee hot you release these flavors. 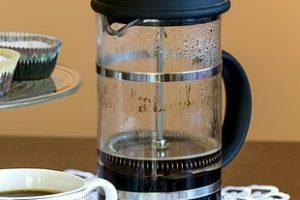 Yet, by using a pour-over method, the contact time with the grounds is short which theoretically limits the bitterness and acidity that comes along with hot brewing. 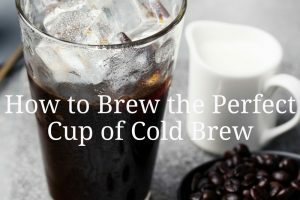 The second reason to use this method is when you need an iced coffee now and you forget to make some cold brew. This is my go to method when I forget, which is usually about once a week!! pour the water in slowly—add a little bit then walk away if you have to! strain the coffee through the filter a second time to remove the ice and allow the water to contact the grounds for a few seconds more (you don’t need to do this slowly, just dump it in). 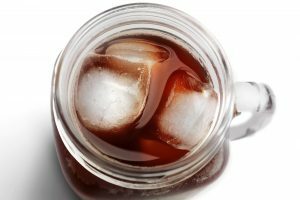 So file this method under iced coffee methods—it is not a cold brew method, but it works to make iced coffee quickly.